WindEurope, in partnership with the Netherlands Wind Energy Association (NWEA), will host the WindEurope Conference & Exhibition from Tuesday, 28 November till Thursday 30 November 2017 in the Amsterdam RAI Exhibition and Convention Centre. The Dutch offshore industry is undergoing a transition from oil and gas towards a more renewables-based energy supply. Knowledge gained over decades in such areas as deep sea drilling and offshore rig construction is now increasingly being harnessed for the construction of offshore wind farms. For these three days Amsterdam will become the epicentre for knowledge exchange, thought-leadership and debate in the wind energy sector. The Netherlands is a key market for wind energy with 3.4 GW installed capacity and one of only seven member states that have a renewable target post 2020 (16% by 2023, 3.5GW offshore fully grid-connected). The conference will deliver insight from the industry and scientific community, providing delegates with an agenda which encompasses technical, political and commercial content. 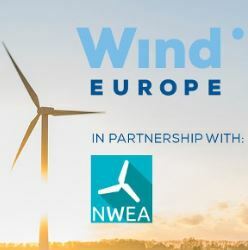 While the WindEurope exhibition will connect the major players in the wind industry. NWEA, in cooperation with IRO, is pleased to offer you an exclusive opportunity to join the Dutch Village at the WindEurope Conference & Exhibition 2017 in Amsterdam, the Netherlands. Our Dutch wind industry has traditionally been at the forefront of impressive achievements in the wind sector during the past few decades. With promising outlooks and a magnitude of new projects in the pipeline, strong positioning and branding of our Dutch expertise in the wind industry is vital. As hosting country of the annual WindEurope event we are offered excellent opportunities to highlight the distinctive proposition and track record of the Dutch supply chain. Through the Dutch Village, NWEA and IRO offer a unique opportunity to member and non-member companies to increase their exposure and gain optimum return on investment during the event. The Wind Energy Matchmaking by Enterprise Europe Network (EEN) offers professionals in the onshore and offshore wind energy business an unique opportunity to keep updated on the sector and its actors, and meet qualified contacts in a short amount of time. 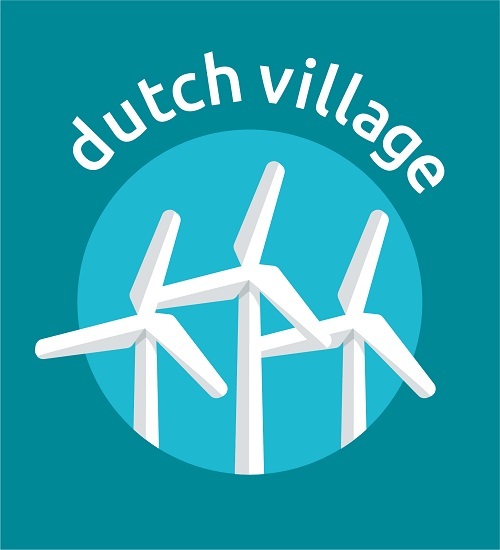 The Wind Energy Matchmaking is connected to the WindEurope conference and exhibition 2017 in Amsterdam which is one of Europe’s leading wind energy events. A must-attend event for professionals in the wind energy business. The B2B matchmaking event is aimed at small and medium-sized enterprises (SMEs), research institutions and universities who are active in the field of onshore and offshore wind energy. Wind Energy Matchmaking 2017 will take place on Wednesday 29 and Thusrday 30 November 2017. Offshore wind power in Europe saw a record 3,148 MW of net additional installed capacity in 2017. This corresponds to 560 new offshore wind turbines across 17 wind farms. There were 14 projects fully completed and connected to the grid, including the first floating offshore wind farm. Work is going on a further 11 projects in Germany and the UK. The European wind energy industry invested a total of €51.2 billion ($63.22 billion) in 2017, with €22.3 billion ($27.54) of this going towards new wind farms, a figure down on the €28 billion invested during 2016, but allowing for more capacity. These are the findings from European wind energy trade body WindEurope’s latest publication, Financing and Investment Trends, which analyzed wind energy investment figures for 2017. As can be seen below, the lion’s share of 2017 investment went to new asset financing (i.e., new wind farms), but was also directed towards refinancing projects, acquiring projects, company acquisitions, and capital markets. Tardieu makes an important point because investment on new projects was down — from €28 billion to €22.3 billion. But it is important to look at this in the right context, considering that investment in new capacity yielded 11.5 gigawatts (GW), compared to the 10.3 GW in 2017. This is a trend being seen around the world for both wind and solar — technology cost reductions mean that less money is needed to build even more capacity. WindEurope expects that investment volumes in 2018 will increase due to the roll-out of auctions across the region, not to mention the impending final investment decisions for a bunch of existing projects. Specifically, WindEurope tracked 14 GW worth of wind projects awarded support through 2017 and the first quarter of 2018, and in the first quarter of 2018 alone Europe invested €3 billion in new wind energy projects for a total of 30 new onshore wind projects with a combined capacity of 1.9 GW. In 2017 werd in Europa een record van 15,7 GW bijkomende windenergie capaciteit gebouwd, volgens de jaarcijfers van WindEurope, de Europese windenergie organisatie.